There may have been two names on the bill but this show was all about one man. Nas may have more record sales, and the bigger fan base but Damian ran this show. He was Stringer Bell to Nas’ Avon. Yeah, Nas was ‘Kingpin’ but we all know who really ran the show. 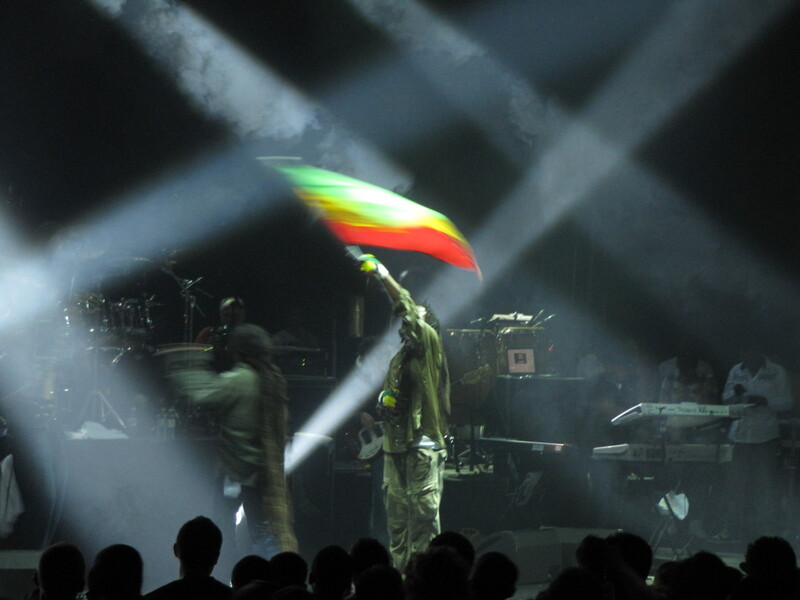 From start to finish Damian’s intensity was immense, every time the rockers reggae sounds rung out the place was in a frenzy, and towards the end of a lengthy near two-hour set Welcome To Jamrock sent Hammersmith Apollo bezerk, leaving Made You Look (the track prior and one of Nas’ best a distant memory). At times it was like Damian was the wise teacher with Nas playing the eager student. 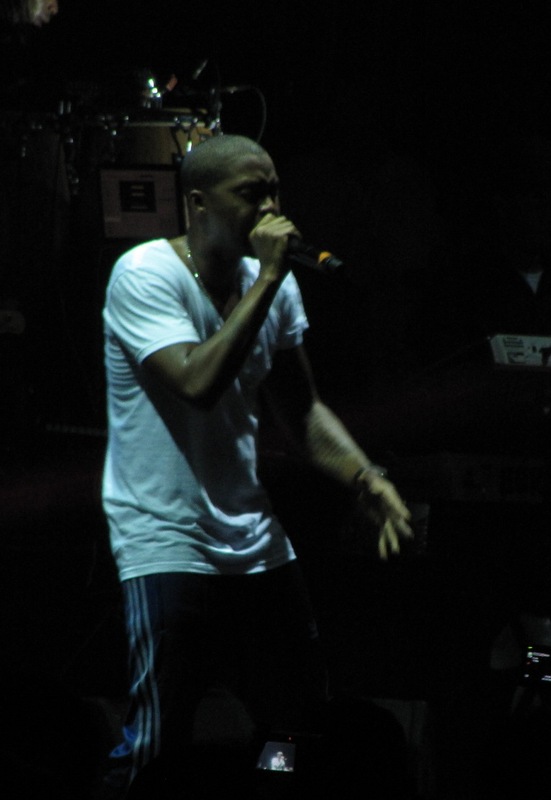 This was by no means a poor show from Nas. Hip-Hop always sounds better with a live band and his music sounded far better than I’ve ever heard it live before. 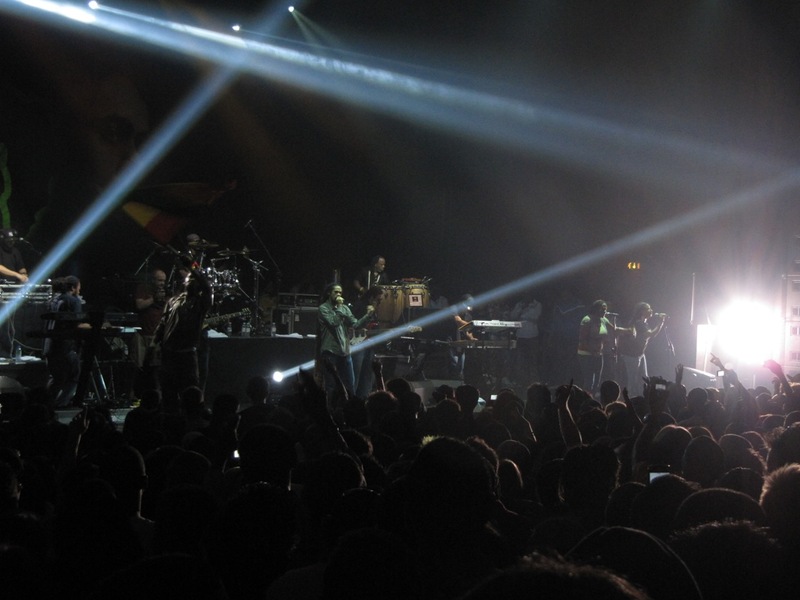 One Mic, If I Ruled The World, Nas Is Like, crowd favourites at an Nas show all sounded more fulfilling with the band. 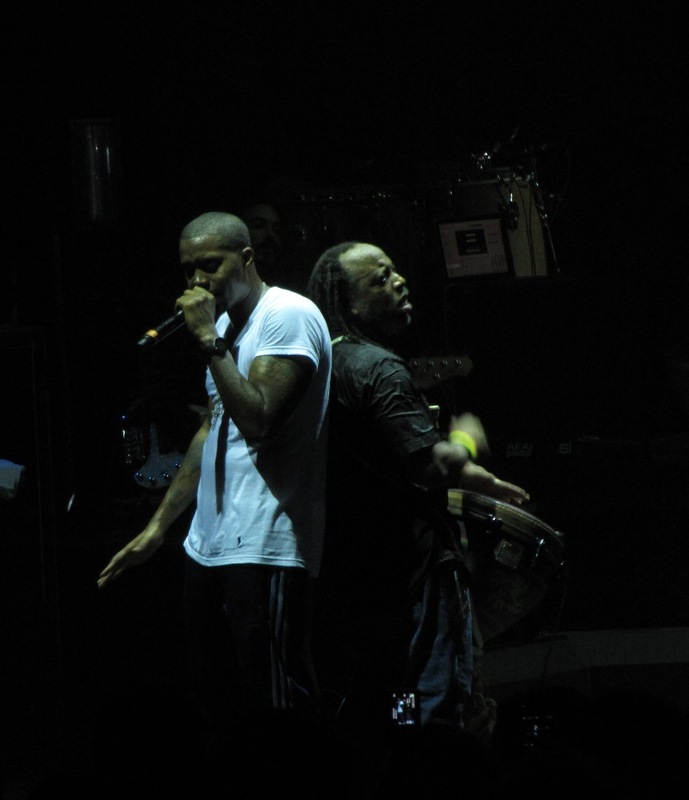 When singing the songs of Distant Relatives Nas was more comfortable and I’m looking forward to see if when he tours solo he keeps the band because when he gets to the top of this learning curve he should have a live show to rival the best of them from any genre (and his back-catalogue is close to unrivaled in hip-hop). However, last night was only ever about one man. Damian was on song, from getting what seemed like everyone to raise lighters (it looked beautiful) to 500+ jumping around he was running tings. 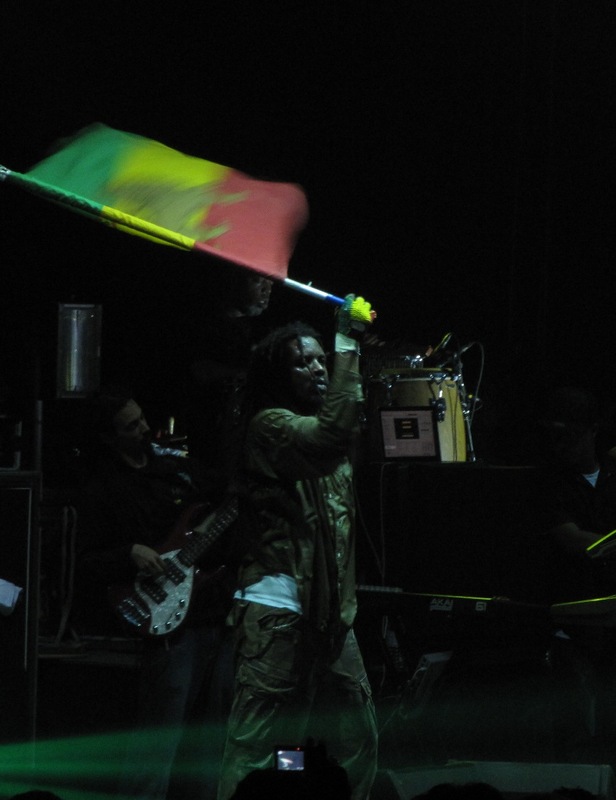 With the flag bearer on stage (the man never stopped – incredible) he built a party atmosphere through the thick weed smoke insideThey ended with a tribute to Bob Marley (surprise surprise) by singing Could You Be Love evoking a mass karaoke session. Last night was a great show, full of excitement. Money well spent, and cannot wait for them to come back! 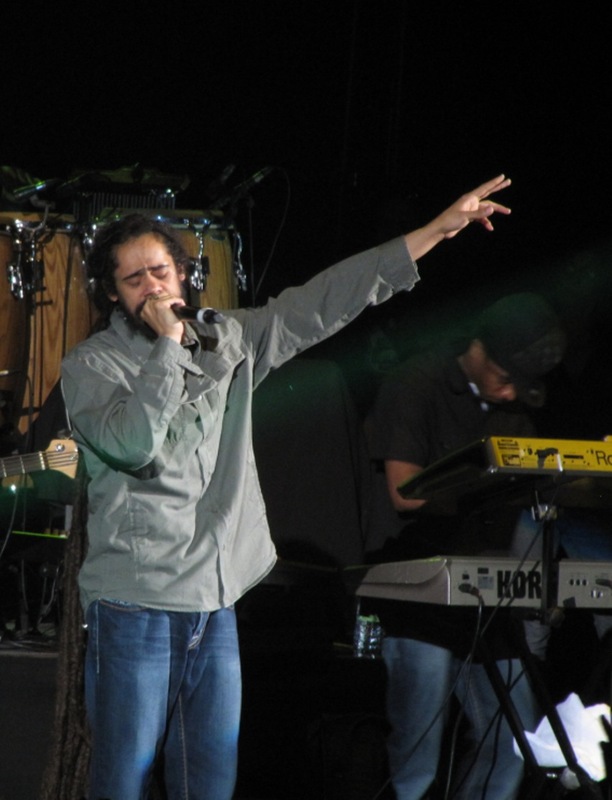 Posted in Gig Photos, Gig ReviewsTagged bashment, Concert, Damian Marley, Distant Relatives, Gig, Hip-Hop, Live Music, Music, Nas, Pictures, Rap, Reggae, Review, Welcome to JamrockBookmark the permalink.